What would the NBA look like if LeBron James never made it? The hypothetical opens up rabbit holes in every direction. We examine the ripple effects for the Cavs, Raptors, Kevin Durant and more. LeBron James is everywhere: Banking in one-footed game-winners, spawning GOAT debates, inspiring months of free-agency rumors, hawking soft drinks and sneakers, funding large-scale philanthropic efforts, and trading pointed tweets with the President. At 33, James has yet to relinquish his grasp on the Eastern Conference, his standing as the best player in basketball, or any of his cultural relevance. His omnipresence is as all-consuming as ever: He’s leading the playoffs in scoring and highlight-reel moments, he’s advanced to the East finals for the 10th time in 12 years, he could soon be headed for his eight straight Finals appearance, and his next Decision will dictate the entire NBA offseason. 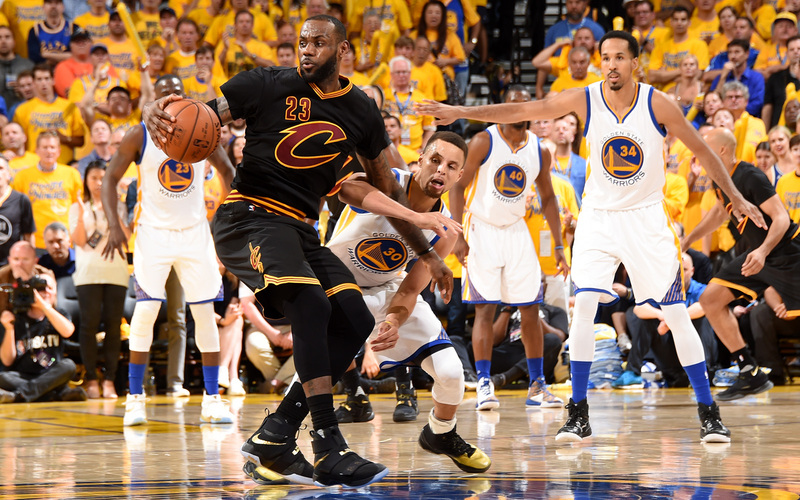 As if that weren’t enough, there are now two LeBrons to follow closely. LeBron Jr., 13, is wreaking havoc on AAU mixtapes and causing observers to wonder whether father and son are destined to become the NBA’s answer to Ken Griffey Jr. and Sr. The natural impulse is to dismiss the absurd notion that James, with his unmatched combination of physical gifts and innate basketball intelligence, could be doing anything other than lording over the NBA. But he has a point, the same one made in the 1994 film Hoop Dreams. Can’t-miss prospects miss all the time, usually for reasons outside of their control. Sometimes they miss badly, sometimes tragically. So, let’s indulge LeBron’s perspective reset by pondering: What would the NBA be like if he had failed to make it? This hypothetical opens rabbit holes in every direction, prompting so many alternate histories that it becomes overwhelming. Start with the most obvious: The Cavaliers would not be the Cavaliers. In James’s 11 years in Cleveland, the Cavaliers have won an average of 51 games and advanced in the postseason nine times. During his four seasons in South Beach, Cleveland averaged just 24 wins and never sniffed the playoffs. Of course, the 2016 curse-ending title would never have happened without James. Assuming Cleveland never managed to build a consistent winner, Kyrie Irving might still be there breaking ankles and trading punches with Dion Waiters, under the careful guidance of David Blatt (or Mike Brown for the third time). Kevin Love would have had to find a different way out of Minnesota in 2014. J.R. Smith might still be a punchline in search of a purpose. 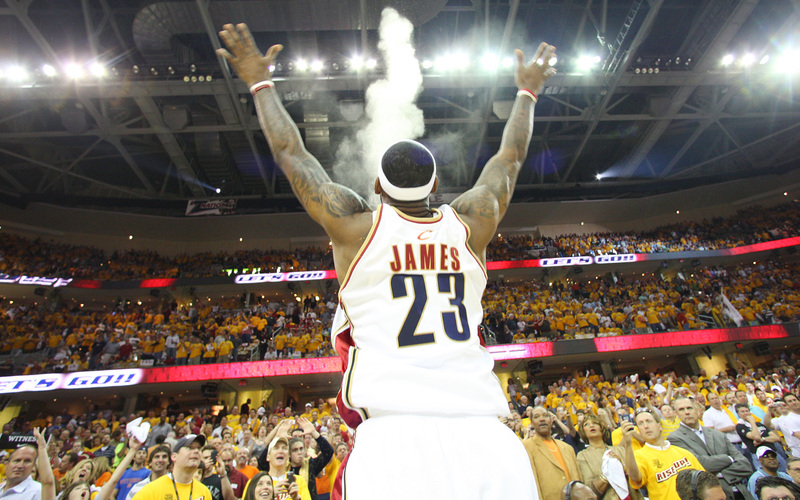 While James has defined the Cavaliers franchise for more than a decade, his reach extends well beyond Ohio. Take the Celtics, whose second straight trip to the East finals has been the culmination of a long-term rebuilding effort, one that commenced in 2013 with the departures of coach Doc Rivers, Paul Pierce and Kevin Garnett. 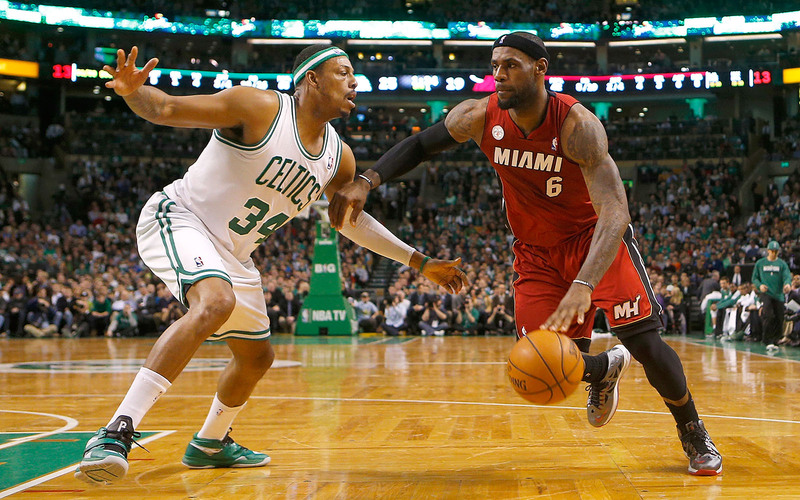 If there’s no James standing in the way, does Boston reach the Finals in 2011 and 2012? Do they knock off the young Thunder in 2012 to claim another title? Does Ray Allen still leave in 2012? If James isn’t in the middle of guiding the Heat to four straight Finals appearances, do the Celtics still decide to pull the plug in 2013 or do they find a way to extend the Rivers/Pierce/Garnett era? What does that mean for Brad Stevens? If Rivers hangs on longer, would Stevens be overseeing an NCAA dynasty at Butler? When would he have made the NBA leap? And if Pierce and Garnett weren’t shipped to Brooklyn, would Jayson Tatum and Jaylen Brown now be leading the Nets back to respectability? Philadelphia, a rising juggernaut in the East like Boston, also faced a crucial turning point in 2013. Fed up with mediocre lottery seasons and first-round exits, the Sixers hired Sam Hinkie and initiated The Process, the most purposeful multi-year tanking effort in NBA history. Competing with the best required elite talent, Hinkie reasoned, and the surest method for acquiring elite talent was to accumulate high draft picks. Some critics found The Process heretical. Losing on purpose? Throwing away multiple seasons? Regardless, 2013 was an ideal time to tank. James had just won his second consecutive MVP, his second consecutive title, and his second consecutive Finals MVP. He was 28 years old and not going anywhere. In fact, Hinkie was hired not long after Miami ripped off a 27–game winning streak, a run that represented the height of the Heatles’ powers. The Sixers had every reason to believe they couldn’t compete with James for at least three seasons. Why not endure short-term pain to position themselves for the post-James era? If James hadn’t set such a high bar, would the Sixers have taken the plunge? Would Hinkie have beaten out more “traditional” candidates pitching a quicker fix? Would he have been more inclined to call off the tanking after landing Joel Embiid? Would the backlash that led to his 2016 resignation have come more quickly? At this precise moment, no city would like to get lost in the LeBron-never-came-along daydream more than Toronto. For three straight years, the Raptors have been beaten, mocked and humiliated by James. When he swept them in 2017, they set about on a much-ballyhooed “culture reset.” When he swept them again in 2018, speculation immediately swirled around the future of coach Dwane Casey and a possible roster detonation. James sparked an identity change, produced puddles of self-loathing in The Six, and caused DeMar DeRozan to describe Toronto’s latest loss as the “lowest moment” of his career. If James wasn’t in the way, the Raptors could easily be on track for their third straight Finals appearance. They might not be a match for the Warriors, but they wouldn’t be labeled as chokers and they wouldn’t face nearly as many questions about their mental toughness. They would, importantly, still have their pride, plus some level of hope for a title breakthrough if Golden State ever got complacent. At least Toronto’s misery has company. Indiana has been eliminated by James-led teams in five of the past seven seasons, with possible Finals trips in 2013 and 2014 going up in smoke. Chicago lost to James in the playoffs four times in six years, starting in 2010, and never made it past the conference finals. There are two franchises, the Spurs and Warriors, that have mostly proven resistant to James’s powers. Yet neither has been immune. While James has lost to both teams twice in the Finals, he has also doled heartbreaking losses, stunning San Antonio in 2013 and leading an unprecedented 3–1 comeback against Golden State in 2016. In both cases, losing to James pushed A-list organizations to new heights. The Spurs spent the entire 2013-14 season on a mission, with Tim Duncan guaranteeing revenge prior to a remarkable 2014 Finals triumph. The Warriors wasted no time seeking retribution, as Draymond Green recruited Kevin Durant from the parking lot following Game 7 in 2016, thereby laying the groundwork for their title last season. Within these broader organizational narratives exist all sorts of individual stories too. By the end of the 1990s, Michael Jordan had enjoyed so much success that many of his contemporaries came to be defined by Jordan’s achievements, rather than their own. The list of stars dimmed by Jordan’s brilliance is extraordinarily long, and includes: Patrick Ewing, Charles Barkley, Reggie Miller, Karl Malone, John Stockton, Clyde Drexler, Gary Payton and Shawn Kemp. James has compiled a similar list that includes: Paul Pierce, Kevin Garnett, Carmelo Anthony, Derrick Rose, Jimmy Butler, Paul George, DeRozan, Kyle Lowry, Al Horford, Russell Westbrook, James Harden and more. There would have been a lot more glory for that group to share if James hadn’t stood in their way. The opposite effect is also true: James has elevated the careers of those in his orbit. Irving, Love and Chris Bosh all shook off “loser” labels to win titles and claim legacy immunity as James’s running mates. He has also turned an endless procession of shooting specialists into well-known and well-compensated figures. Even Dwyane Wade, a champion and Finals MVP, received a noticeable boost from his good buddy. After the 2013 title, Wade dubbed himself “Three,” nodding to his ring count. Wade, who didn’t win a playoff series from 2007 through 2010, would likely still be “One” if James never came to Miami. Without question, though, the biggest beneficiary of a LeBron-less alternate universe would be Durant, who lost to James in the 2012 Finals and has spent the last six years as the second-best player in the world. Five years ago, Durant was already “sick of being second,” but even his long-awaited first title and first Finals MVP haven’t moved him past James. To Durant’s critics and some impartial observers, his career-altering decision to leave Oklahoma City will be viewed as a double tribute to James. First, because Durant was never able to defeat James without the help of a Superteam. Second, because Durant couldn’t have jumped aboard the 73-win Warriors bandwagon if James hadn’t pulled off a miraculous upset in the 2016 Finals. 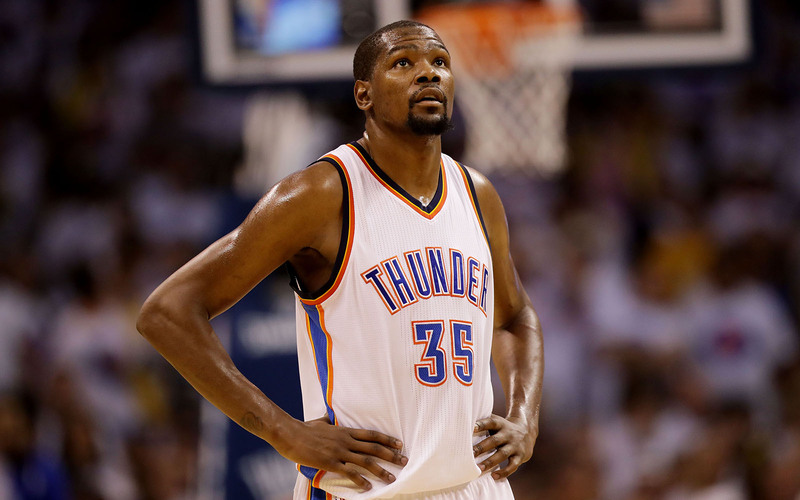 In truth, the “What ifs” for Durant go back well before 2016. Let’s say the Thunder win the 2012 title, a distinct possibility if James wasn’t the centerpiece of Miami’s “Big 3.” Wouldn’t Oklahoma City have approached James Harden’s future differently? Wouldn’t the Thunder have been more willing to pay up to keep a championship together? Wouldn’t Harden have been more inclined to find a way to make it work for a few more years? Even if Harden had eventually outgrown his role, wouldn’t GM Sam Presti have been able to get a significantly better trade package in 2014 or 2015? Without James in the picture, Durant could have claimed as many as three titles and three MVPs before Stephen Curry and the Warriors burst onto the scene in 2014-15. From there, Oklahoma City and Golden State would have spent a solid five or six years fighting for ownership of the league, instead of settling for a single classic series, the 2016 West finals. James helped ensure that these natural rivals became teammates, and his presence has delayed Durant’s entry into discussions regarding the greatest players of all time. The longer one sifts through the many careers and franchises that James has touched, the less inevitable his own journey seems. Yes, James appeared on the cover of Sports Illustrated at age 17 under the headline, “The Chosen One.” But he still could have missed in so many ways. Money could have changed his motivation. Ego battles could have sent him off course. Injuries could have altered his arc. Free-agency decisions could have lessened his ability to consistently win. The mental hiccups that cost him in the 2011 Finals against Dallas could have lingered in crippling fashion. Father Time could have checked in on James like he does with most humans. Basketball diehards can therefore be forgiven for agonizing over the prospect of James hanging up his Nikes, for feeling prematurely wistful, and for concluding that his mastery of the sport must not be taken for granted. Jordan’s three retirements, after all, left unmistakable voids. The best move, for now, is to leave that anguish for a later date and acknowledge that the self-described “Kid from Akron” has already become Jordan’s equal in two respects: The story of the NBA can no longer be told without him, and the league just won’t be the same once he’s gone.